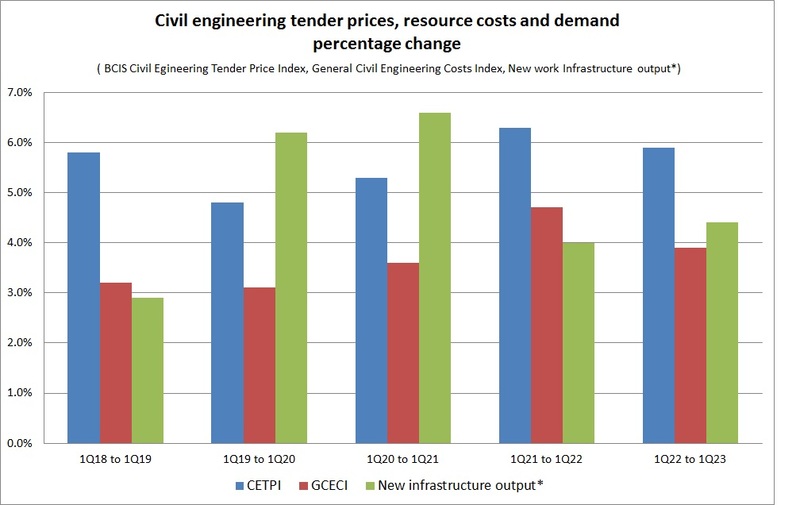 Tender prices for civil engineering work are expected to increase faster than costs over the next five years as infrastructure construction output continues to grow. 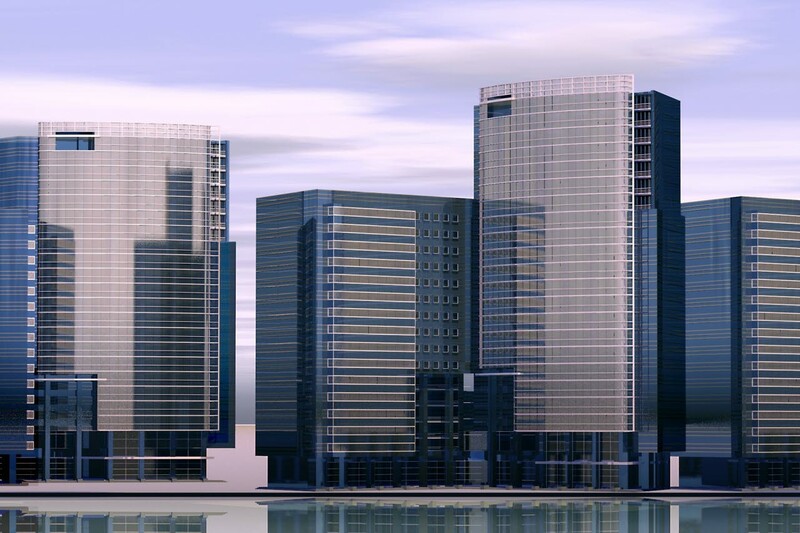 The BCIS forecast shows infrastructure construction output rising by 27% over the forecast period (1Q18 to 1Q23), while costs, as measured by the BCIS General Civil Engineering Cost Index (GCECI), will rise 20% and tender prices, as measured by the BCIS Civil Engineering TPI (CETPI), will rise 31%. The forecast is to be seen against a background of slowing GDP, with little signs of growth above 2% per annum over the forecast period. BCIS is assuming that there will be restrictions on the movement of labour after the end of the Brexit ‘transitional period’ and that this will impinge on the construction industry from around 1st quarter 2021, as the supply of new European labour dries up. This will put upward pressure on promulgated wage awards as they try to keep pace with higher site rates obtained due to the reduced labour pool. Site rates over and above promulgated rates will be reflected in the market conditions factor, putting upward pressure on tender prices. Overall, civil engineering costs are forecast to rise by between 3% and 5% per annum over the forecast period. Increases over the final two years are partially driven by sharper increases in wage awards due to labour shortages. Tender prices are forecast to rise faster than costs due to strong demand and increased pressure on site rates. BCIS has produced two further scenario forecasts looking at different outcomes from the Brexit negotiations. Collecting, collating and interpreting information for more than 50 years.